What’s not to love about this new travelling trend? 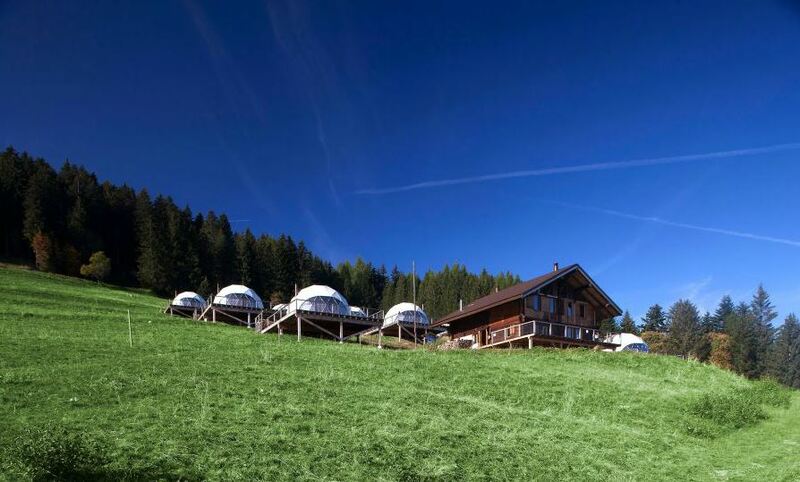 To make your search for the best glamping site a little easier, we’ve already selected 5 unique spots in Europe for you! With two locations, one in Bottrop (Germany) and one in Ottensheim near Linz (Austria), “Das Parkhotel” is one of our absolute favorites when it comes to creativity and value for money! 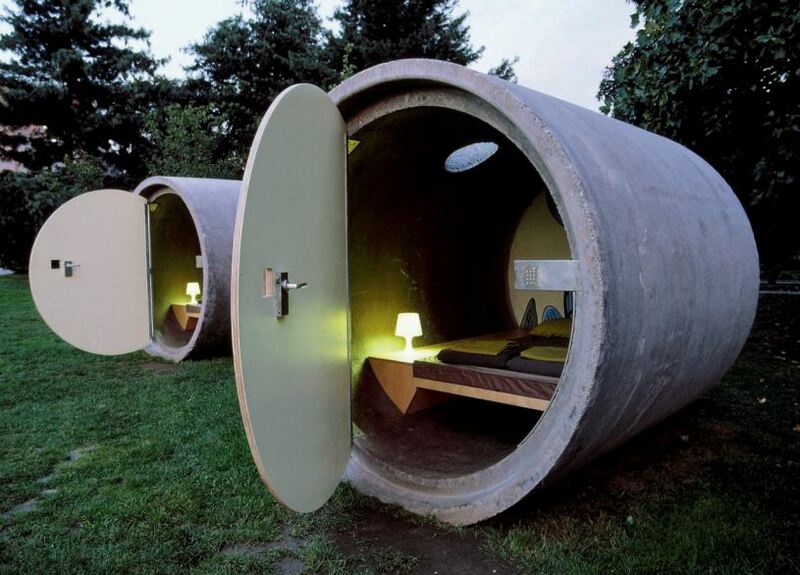 Made of old, refurbished sewage pipes, customers only pay what they think is appropriate (!). Simple from the outside, comfy from the inside – all pipes are equipped with double beds, storage, light and many other gadgets. You can book your stay from May through October with a maximum length of stay of two nights. 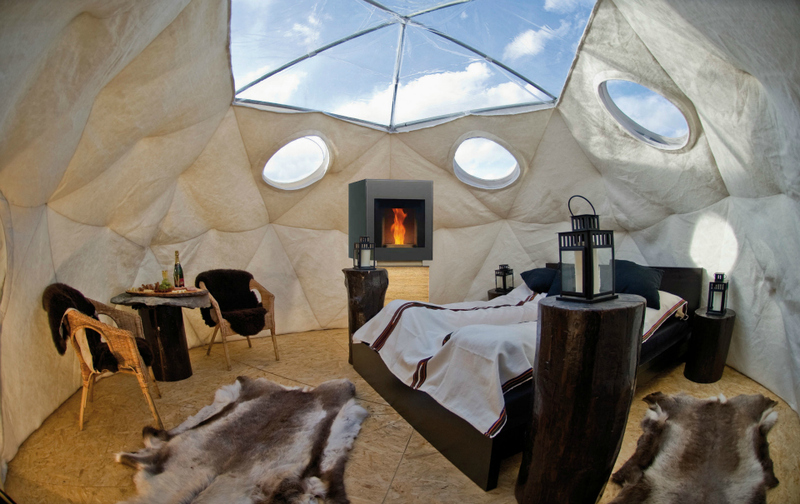 The Whitepod Hotel in Les Cernies, Switzerland, is the Ferrari of all tent vacations. The pods are equipped with the most luxurious interiors and offer all services one could wish for on a holiday and can be used equally in Summer and Winter. And by the way, talk about an amazing view! We’d definitely love to live in a pod like this! Treehotel in Harads, Sweden, offers treerooms in amazing, unique designs in the middle of nature. Choose from 7 different room designs like a Mirrorcube or a room that is designed after a bird’s nest. 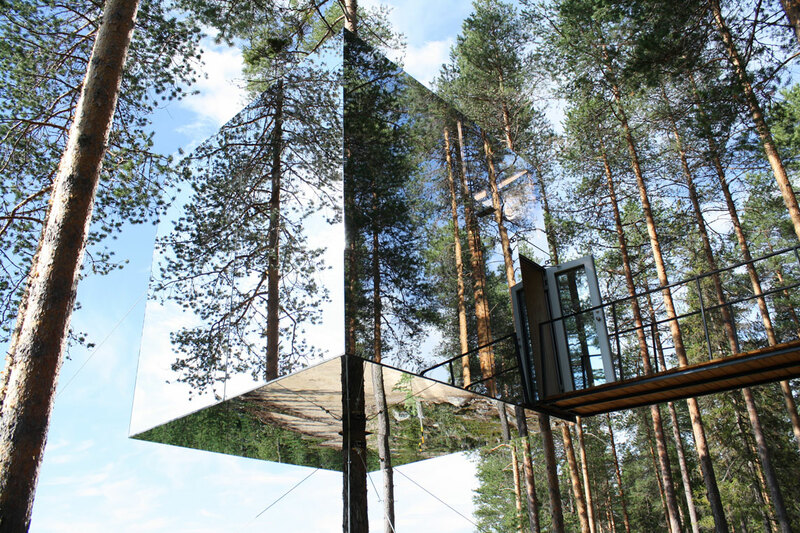 Project “Treehotel” was inspired by the film ”The Tree Lover” by Jonas Selberg Augustsen – what a fun reason to create an amazing, environmental friendly hotel like this! 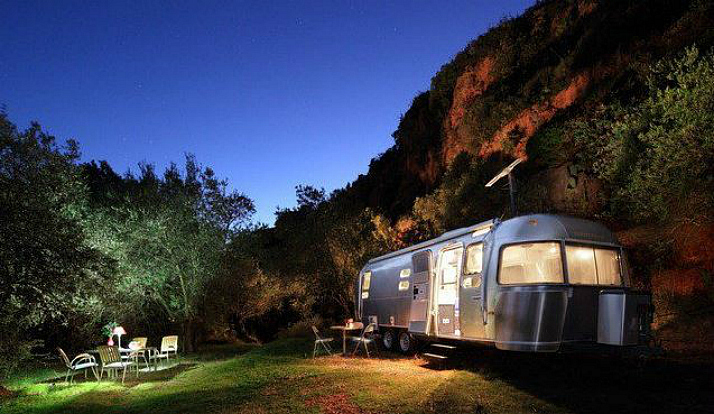 Located in the beautiful mountain range ‘Sierra de las Nieves’ in Southern Spain, the airstream is an oasis of luxury set in the middle of nature. But not only is the Airstream very comfortable, stylish and the perfect combination of retro nostalgia and contemporary design – it also comes with an outdoor pool! What a unique holiday! A Yurt was traditionally used by the nomads in the steppes of Central Asia, but we’re glad this cozy form of accomodation made it all the way to Europe. 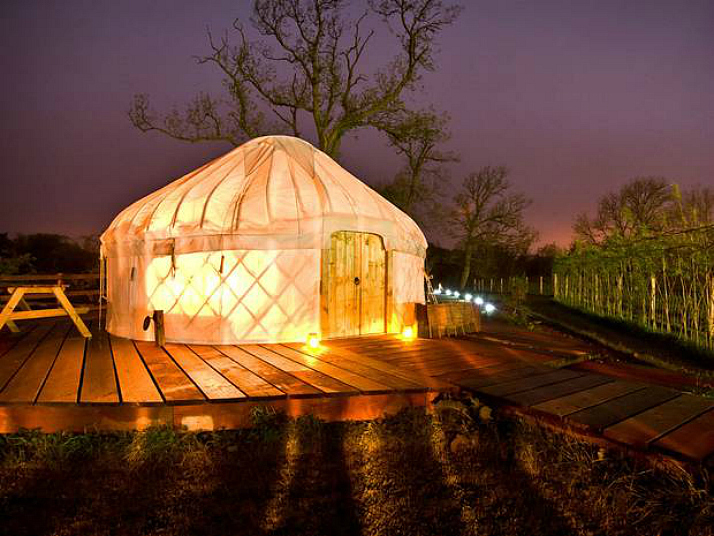 One of the cutest Yurt hotels we came across was Trossachs Yurts in Scotland. There a three yurts to choose from in a beautiful scenery of the scottish wilderness – we’d say, perfect for cuddling up! That would make camping glamping for me!